One important development is how the trend on the number of PP centers is already going down, before today’s announcement. In September, 2015, the Charlotte Lozier Institute counted the PP centers in each state. In the Fall of 2017, we looked up all the PP centers in each state to match them more directly with the alternatives that were in their vicinity. Our figures showed a drop of at least 7% in the number of centers in only about two years. Just in the time since we started our research, the only PP center in Wyoming closed down, making it the second state with no PP centers at all (North Dakota is the other one). 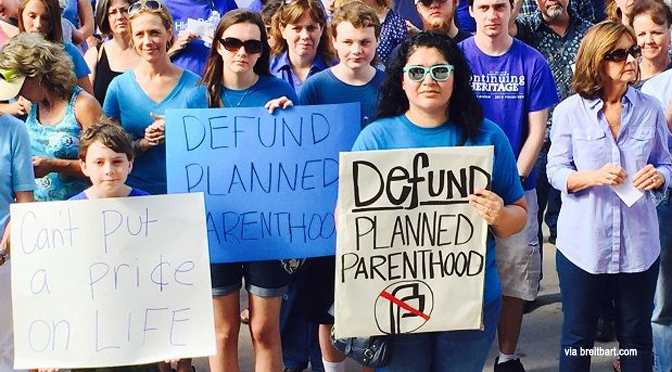 Each state with a listed Planned Parenthood has similar listings. In cases where Planned Parenthood has multiple facilities, such as Florida (22), Connecticut (17), or Illinois (18), the list of alternative health care facilities can be quite long. And in California, where multiple large cities have multiple Planned Parenthood facilities, Grassroots Defunding has separate pages for the cities, such as Los Angeles and San Francisco, as well as for the state. New York City, likewise, has its own page –which has a stunningly large number of alternative facilities for women. 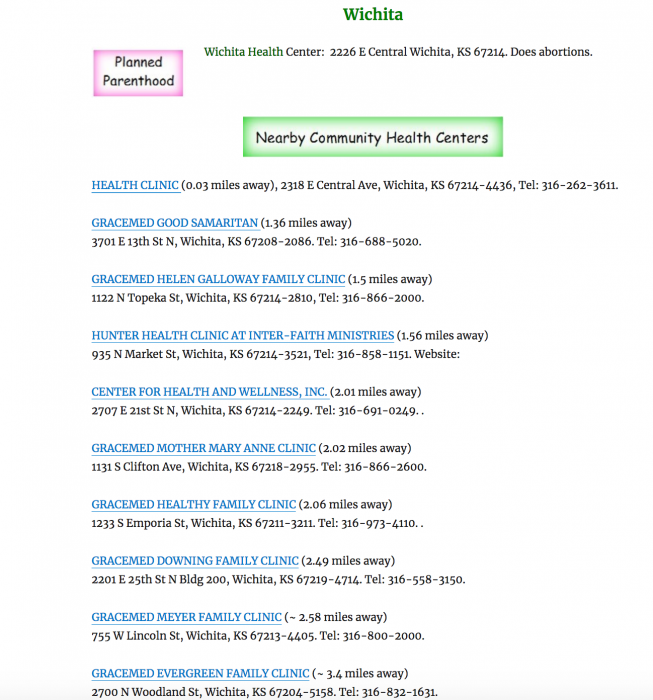 We found all the Planned Parenthood centers on PP’s own website. We found the Community Health Centers on the “Find a Health Center” site of the U.S. government. We don’t know how well that’s updated or kept accurate and have found several cases where there are name changes or where the facility doesn’t offer the kind of services that would make them PP alternatives. We, therefore, recommend double-checking the web pages of the centers themselves, included in their listings. When volunteers have already done such checking, we update those specific lists and mention they’ve been checked. In the case of PP Centers in rural areas, you can also check the pdf list of Rural Health Clinics, which is a different program and offers different clinics. College and university health centers aren’t listed on the CHC website, but are another possible source of PP alternatives, at least for certain services. We haven’t included school-based CHCs in the listings; generally, they only serve the students, who already know about them. But in your own location, you may want to pay attention to them. Click on the state you’re interested in. The Planned Parenthood Centers are matched to nearby federally-qualified Community Health Centers, with more information as it comes in. While some health centers listed might not be directly applicable, the sheet numbers are overwhelming evidence that there is ample opportunity for women to find alternative facilities for free or low cost health care, despite what the abortion corporation wants them to believe. MacNair notes that the website is there to give information to pro-life activists because they are often the ones who can direct women to pregnancy alternatives much of the time. Pro-life activists can do research in their own communities and find good health centers with patient openings. MacNair emphasizes the importance of this campaign to help re-direct women. While many women may not directly come to the website, she told Live Action News it’s likely they might be handed a flyer by a worker outside a Planned Parenthood or social event. When grassroots activists use this site and do some research, they can present the information to women and help them find a true health care clinic, not an abortion facility that simply does a few legitimate health care services. In New England, Rehumanize gathered twice in conveniently local cafes with phones and laptops, where we pinpointed all health centers, mapped distances, and made phone calls. To confirm the information we had gleaned from our mobile get-together, we then carpooled or walked to nearby locations to check in-person if our data were correct. The event is fun — it’s community building. It is easy to add info quickly and smoothly to a joint google document, and share with everyone involved or in the region, and easy to cover a lot of ground fast and effectively when carpooling or walking together. An added benefit to this rubric for research is that everyone involved gets a feel for distances, ease of access, and other details necessary to mapping alternatives to Planned Parenthood in this project. Armed with the exhaustive list of facilities nationwide, there’s clearly no need for any woman to believe she “needs” Planned Parenthood. In short, this project from Consistent Life further emphasizes what pro-lifers have argued for years: there are ample resources available for women, which provide identical services for the same or even lower prices than Planned Parenthood. And as Live Action News has also reported in the past, these real health care facilities vastly outnumber the abortion facilities. Thus, it is important for pro-life workers to do their research and homework to find alternatives, or perhaps, encourage those alternatives in their own regions in order to continue to show women that no woman actually needs Planned Parenthood.